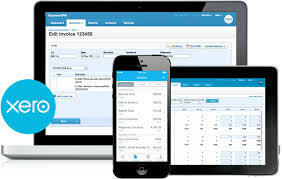 Xero, the world’s easiest to use online accounting software. It has built-in multi-currency functionality which allows you to book and view currency conversions instantly. Xero integrates with hundreds of other apps to make keeping track of your numbers easy. Easily match and categorise bank transactions in Xero so your numbers are always up to date. We specialise in MYOB and Xero cloud accounting software. If you are worried about the process of switching from your current accounting software, don’t be! We will take care of all this for you, from setup through to training and ongoing support. Contact us, request a free consultation session or connect with us on Facebook or LinkedIn to learn more about MYOB or Xero. Curious to learn more about cloud accounting software?